Marketing capabilities have been identified as major determinants of firm performance because they address the so-called VRIN (Valuable, Rare, Imitable, Non-substitutable) criteria of strategic assets. However, considerably less attention has been paid to marketing capabilities and their effects on the creation of competitive advantage in the literature of strategic marketing. This study investigates the effects of marketing capabilities on firm performance through an empirical study conducted in the large emerging market of Turkey. The relative effects of Specialized Marketing Capabilities (SMC), Architectural Marketing Capabilities (AMC), and Market Information Processing Capabilities (MIPC) on sales turnover, market share, and profitability are explored on a sample of 198 Turkish firms operating in different industries. The findings reveal that all capabilities have positive and significant effects on firm performance, although SMC is seen as the most influential capability. The other capabilities of MIPC and AMC follow it, respectively. Therefore, the study suggests that with respect to resource allocation and investment decisions, priority should be given to specialized marketing capabilities such as innovativeness, brand reputation, corporate image, and creative advertising, which are positively and significantly associated with firm performance in the study. Over the last quarter century, a large body of marketing and management research (e.g., Afuah, 2002; Amit & Schoemaker, 1993; Danneels, 2007; Gruber et al., 2008; McGrath et al., 1995; Miller & Shamsie, 1996; Nath et al., 2010; Wernerfelt, 1984) has focused upon an understanding of how firms’ resources and capabilities lead to performance variations among firms and create sustained competitive advantage by using the resource-based view (RBV) of the firm as a theoretical backdrop (Barney et al., 2011; Peteraf & Barney, 2003; Rumelt et al., 1991; Wernerfelt, 1984). According to Peteraf and Bergen (2003), the RBV is a very useful theory and may best serve to add insight when focused on the effectiveness of marketing activities which consist of marketing resources and capabilities. The RBV defined as a capability as “the firm’s ability to integrate, build, and reconfigure internal and external competences to address rapidly changing environments” (Teece et al., 1997, p. 516) asserts that only the ownership or the control of valuable capabilities determine which organizations will earn superior profits and achieve competitive advantage in the market. 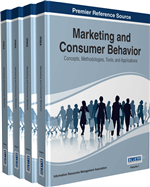 Marketing capabilities have been identified as major determinants of firm performance “because of their low level of imitability and their reliance on tacit knowledge” (Ramaswami et al., 2009, p. 99). Similarly, several marketing scholars who investigate the importance of marketing capabilities in creating influence on firm performance (e.g., Kemper, 2011; Krasnikov & Jayachandran, 2008; Vorhies et al., 2009) explain this situation with the heavy use of information as a strategic intangible asset which is immobile, rare, inimitable, and largely non-substitutable (Barney, 1991; Krasnikov & Jayachandran, 2008). Previous empirical studies identified specific examples of capabilities such as new product development, service delivery and order fulfillment, R&D, acquisition processes, product innovation, absorptive capacity, client-specific capabilities, organizational structure reconfiguration, resource divestment, human capital, managerial ability, strategic decision making, buyer-supplier equity and network ties, and marketing capabilities. In fact, the aforementioned marketing related skills are not too different from the well-known “5Ps” of the marketing mix; namely, Product, People, Place, Promotion, and Pricing. For example, new product development and product innovation capabilities can be categorized within the product element of the 5P’s, strategic decision making, managerial ability, client-specific, and human capital related capabilities are included in the people element. Similarly, whilst service delivery and order fulfillment along with the distribution network can be assigned to the place element, creativity in advertising and all communication related capabilities can be categorized within the promotion element of the marketing mix. Last, all capabilities that can influence the costs and prices of the product or service directly or indirectly such as buyer-supplier equity and network ties, R&D, and technological know-how can be included in the pricing element of the 5P’s. In the extant literature of strategic marketing, considerably less attention has been paid to marketing capabilities and their effects on the creation of competitive advantage (Morgan et al., 2009; Nath et al., 2010). Capability-based studies have always been the concern of management literature rather than marketing and this resulted in the evaluation of the findings from the purely management point of view. However, the elements of 5P’s are prominent determinants of a firm’s performance and their influences should be thoroughly investigated. Besides, most of the limited numbers of studies that aim to investigate the effects of marketing capabilities on firm performance were conducted in developed countries rather than emerging markets.